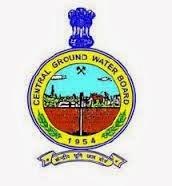 About Organization: The Central Ground Water Board is the apex organisation for development and management of ground water resources of the country. It is entrusted with the responsibilities of scientific studies-including surveys, investigation and exploration programmes for the assessment of the resources-and assisting the states in development, management, augmentation, conservation and protection of ground water from pollution. How to Apply: Apply in the specimen format given in the notification to the office of The Regional Director, Central Ground Water Board, South Eastern Coastal Region, "E" Wing, "C" Block, Rajaji Bhavan, Besant Nagar, Chennai 600 090 (Tamil Nadu) by Registered/Speed Post.